Let me repeat that: Cost is not important. What is important is ROI (Return on Investment). How much money you can you afford to spend? How soon will you see the return from that money? How much will that return be? If you can spend the money (1), not go broke while you’re waiting for the return (2) and the result will be enough of a profit to make it worthwhile (3) then the cost of the campaign is not important. If I could turn trade $1 for $5 in the space of a few years, I might not be interested. But if I could take a $100,000 investment and turn it into $500,000 worth of business growth in the space of a few years, I’d find a way to come up with the $100,000 to invest. The problem is, as with any investment, the results are unknown. We have no crystal balls in which to predict the future. With SEO, and a good business model, a seemingly sizable cost will often multiply itself into a considerable profit in just a few years, if not sooner. Don’t look at the costs involved; look at the return your investment will bring. 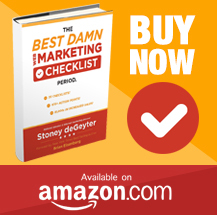 When considering avenues for marketing your business, the list is endless. You can invest money in a number of off-line places such as radio ads, TV spots, billboards, magazine ads, newspaper ads, trade publications, community event sponsorship, public transportation ads, strategic partnerships, giveaways, etc. Online marketing opens up a number of new opportunities for getting your product, service or message in front of your audience: website development, email advertising, banner ads, pay-per-click ads, strategic link partnerships, search engine optimization, social networking, directory submissions, and the list goes on. So where should you spend your money? The obvious answer is to spend it where you get the most return. The harder part of that is to determine what will bring the best return for you. Research is crucial. In most any industry you can get averages of how much return a particular investment will bring. But these can vary from industry to industry. For some, a direct mail campaign might produce a better return than PPC, while others will get more mileage out of SEO than magazine ads. The key component here is testing. Analyze and test various forms of advertising and marketing and see what works and what doesn’t. Tracking online is easier and far more comprehensive than offline. But whichever route you go, be sure you have tracking mechanisms in place so you can know what each produces. Track the money spent and the immediate to long-term results of each campaign. Start with what you know produces the best return in the shortest amount of time, then use the profits from that to test other avenues. Sometimes you have to consider the cost-to-time ratio. Search engine optimization requires a long-term commitment to bring success, while pay-per-click advertising can bring more immediate results. They both have their place. The ROI on PPC is usually lower than SEO, and it can cost a lot more. But with a more immediate return and better tracking, it is a lucrative place to invest. However, once your SEO starts returning profits, it generally returns big. Five thousand per month doesn’t seem like so much if it’s producing $15,000 in profits on top of it. But it just takes time to get there! If you have a solid business and a successful business plan, investing in online marketing makes sense. If you don’t, the result is unknown. On more than one occasion I’ve told potential clients that they are not ready for SEO because they were unsure if their business would succeed. My suggestion to them was invest in some quick-return marketing strategies such as PPC. If those work and business grows, then go all out and invest in the longer-term strategies. If the short-term strategies don’t work, you need to analyze in order to understand why. Was it the marketing avenue or the business model? If multiple avenues fail, it might be the business model, which means it’s time for a new idea or a new approach. It’s been said that most business fail due to lack of monetary investment. If you have a good idea, a workable idea, be prepared to invest before seeing a return. If it’s a model that will work, don’t let a lack of funds stand between you and success. Do what you have to do to invest where you need to invest. If you invest in SEO, invest wisely. If you know you have an ROI business, SEO will only improve that. How much ROI can it bring? Just depends on how much you want to spend.